Cookie baking season is upon us. The task of baking endless batches of baked goods can sometimes be overwhelming with our busy schedules. But there are so many fun ways to make cookie baking and decorating fun for all ages. Here are some fun ideas to make your cookie baking party a success this year! A Pinch of Yum has some great ideas for planning a fun baking party. They even included some helpful recipes and planning lists. Isn’t this a darling cookie decorating party Lillian Hope Designs. Cookie party tips and free printables are also included. I love these Santa mustaches made from cookies. Kids would love eating these!! Michelle’s Party Plan-it has some fabulous ideas along with these free santa beard printables. Swish Printables shares a a great baking and decorating party. Her “Cookies for Home” printable are the perfect tags for some take home treats. Children love decorating cookies, but it can be challenging. The Decorated Cookie offers some great tips when planning a party for young children. In addition to having a cookie decorating party, 100 Layer Cake-let incorporated a birthday party into the mix. It’s tough coming up with fun ideas for those holiday birthdays and this was a fun and easy idea! So Gingerly is so organized and has some handy tips along with a little humor. 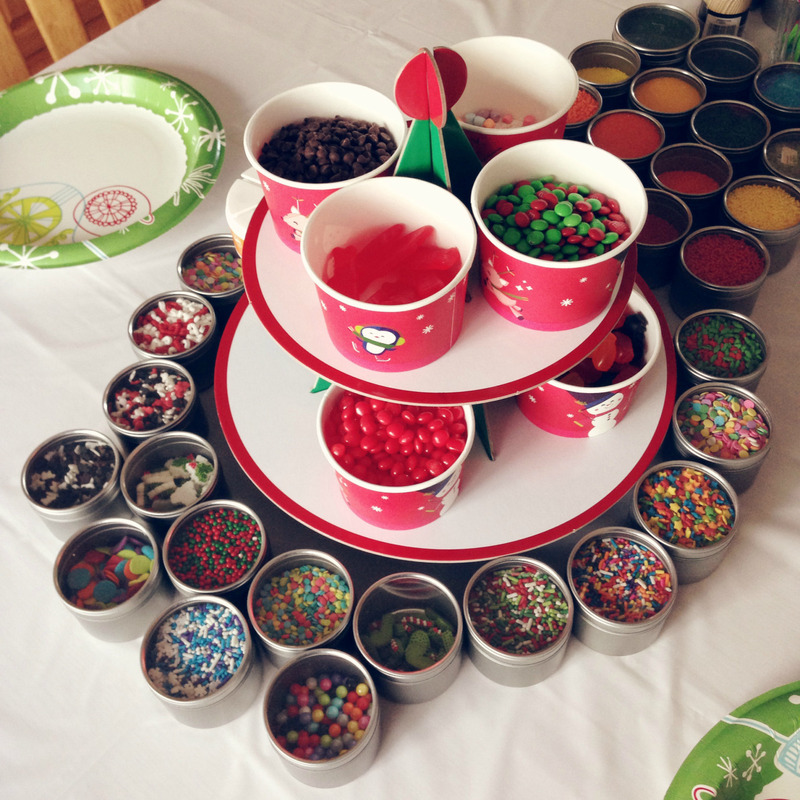 This Christmas Cookie Decorating Station from Design, Dining, Diapers is so cute and it includes printables. You can’t forget the gingerbread! Eat This Up was ambitious with her party, but anyone can do this even on a smaller scale. And everything was so pretty to look at! After you’ve baked and decorated all your cookies and you’re looking for a fun way to distribute them, head on over to My Baking Addiction for fun a cookie exchange idea. LOVE this post and all of the fabulous ideas!! Thanks for sharing!